Watching the Oscars was bittersweet for me this year because Audrey Wells is no longer with us. She wrote the screenplay for the new movie "The Hate U Give" which premiered the day after she died at the age of 58, Oct. 4, 2018. I watched quietly as they projected a black and white photo of beautiful Audrey Wells (director/screenwriter/producer) happily standing behind a movie camera during the 'In Memoriam" part of the show. Sadly, I didn't make it down for the Celebration of Audrey's Life which was held last month in L.A. at the Writer's Guild Theater, but I've been thinking about her every single day. 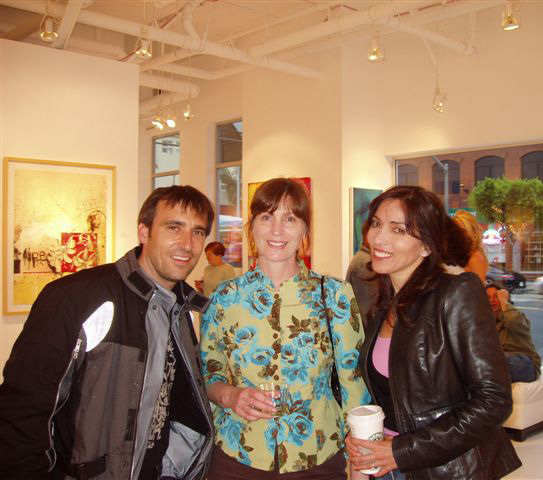 She left behind a teenage daughter and a new husband who I never met, but I did have the good fortune to meet Audrey (and John Radzik) in 2006 at one of my art shows in Santa Monica, CA. Audrey had already acquired a painting of mine for Christmas 2005 and she wanted to meet me. She had seen my Little Pierrot art series mentioned on the popular blog boingboing.net and contacted me directly. She and John drove up on a motorcycle to the art opening at Applegate Gallery and surprised me. Audrey was vivacious and charming, wearing a black leather jacket. Mark Frauenfelder of boingboing.net was also there and joined in the conversation. Audrey talked to me about her writing projects and some actors that we both admired, but also emphasized that it was "my night" and even suggested that I might stay at her home if I came down to L.A. again in the future. I never did stay with her, but she wrote to me a few times and let me know that she enjoyed my art for its humor and could relate to its narrative quality. She was very kind to me. She shared my website and art with friends. When she got ill some years ago, she never let on. Her life had changed and I hadn't heard from her for quite some time and I was shocked to learn the news of her death. Her accomplishments in film were great. I was in awe of her. I know she must have struggled through the Hollywood system as a woman director and screenwriter, but she was super creative and strong and never gave up. I just wish I had known her better. All I can do now is urge you to see her movies which include these gems about relationships: "Under the Tuscan Sun"(filmed in Italy), The Truth About Cats and Dogs", and "Guinevere". I hope to see "The Hate U Give" very soon. Thank you, dear Audrey, for your generosity and the love you gave. 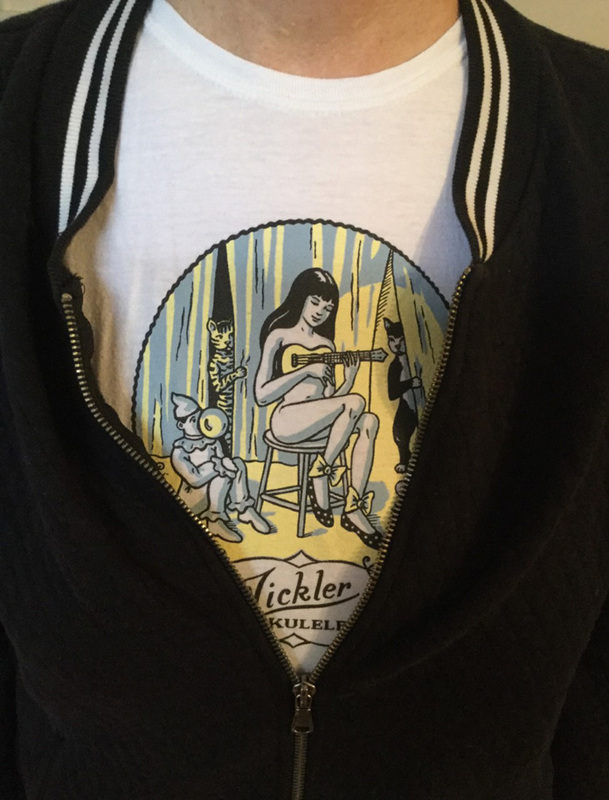 Amy Crehore T-shirts and postcards on sale thru Valentine's Day! Beautiful original silk screened design © by Amy Crehore available in ladies and men's sizes. Postcard set of 12 recent original paintings ©by Amy Crehore. I am extending my website sale on these items thru Valentine's Day! I am already working away on paintings for my upcoming solo show at La Luz de Jesus Gallery in L.A. (opens Nov. 1, 2019). I'll be showing in Tokyo, Japan as well - my third group show at Jiro Miura Gallery (Sept. 2019). Follow my progress on instagram.